If navigating the legal system leaves you feeling lost and confused, you need trusted, experienced, compassionate Oshawa lawyers to assist you. We understand that dealing with difficult circumstances like car accidents, divorce, civil litigation, or estate law brings stress into your life that you would rather not deal with. We know the details can get confusing. Don't get lost trying to handle it on your own. You need an experienced Oshawa lawyer to guide you through the process. At Kitchen Simeson Belliveau LLP we act as your expert guide as we assist you with your legal issues and—when necessary—successfully get you through court so you can focus on the more important aspects of your life. Just about any qualified lawyer can help you through your legal issues, but we offer you more. We focus on you with compassion and understanding. We explain all the steps of the process so you never feel lost or confused. Our trial experience and winning record mean you can trust us to do our best to protect your rights and ensure compensation. Our outstanding support staff in Oshawa will stay in contact with you, answer your questions, and gather all the information needed to help you get exceptional results every time. 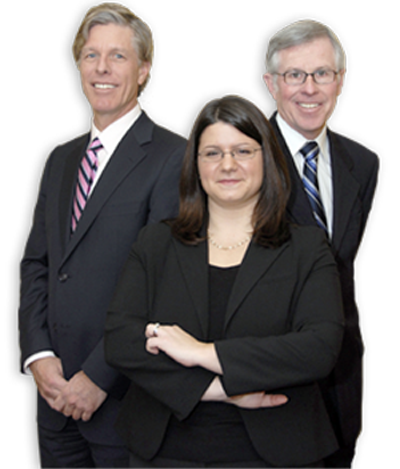 Find out more about our Oshawa law firm's services or call (905) 579-5302 to arrange for a consultation. Has an accident or injury impacted your life? One moment or one choice can change everything instantly. Getting back to where you were before an accident may seem daunting, but we're ready to assist you with your personal injury insurance claims so you can regain lost employment and recover from your injuries. Kitchen Simeson Belliveau LLP is proud to provide personal injury legal services to Oshawa, Cobourg, Lindsay and Whitby.